Along with deepening the relationship to our inner life and Source, the applied spiritual journey involves the nature of our relationship with everything else. Connectedness, an integral dimension of consciousness that informs how we relate to this world, brings us into contact with our spiritual heart. The EnneaCross™ , * the integration of two powerful, ancient symbols that reflect the spiritual journey, offers insights into four universally shared dimensions (called ‘portals’) of human experience that lay beneath individual personality types and provide portals into our deeper nature. In this new retreat, we’ll explore the portal of Connectedness (the line between Enneagram points Seven and Two), an integral dimension of consciousness that informs how we relate to this world and which reveals the power of strengthening contact with our spiritual heart. First, on a personal level, without the conscious experience of authentic connectedness, it is easy to feel alone, victimized, and separate. 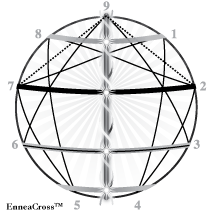 The EnneaCross ™ helps us recognize and work with the dynamics that inhibit and that support the unfolding of authentic connectedness. he Infinite and invites us into contact with paradoxical pathways to a greater sense of compassion, humility, inner authority and the boundlessness of Love as we relate to ourselves and everything else. Third, this is the portal that most directly helps us perceive that, indeed, we are intrinsically intra-connected and interconnected to everything. Gather in community for this experiential retreat which includes brief teachings, somatic practices, silence, individual reflection, and partner inquiry. Ultimately, this work supports the movement of Love and Compassion in your life and in the world where nothing exists outside of the dimension of Sacred Connectedness. To register for the retreat please visit the Mercy Center website at www.mercy-center.org. 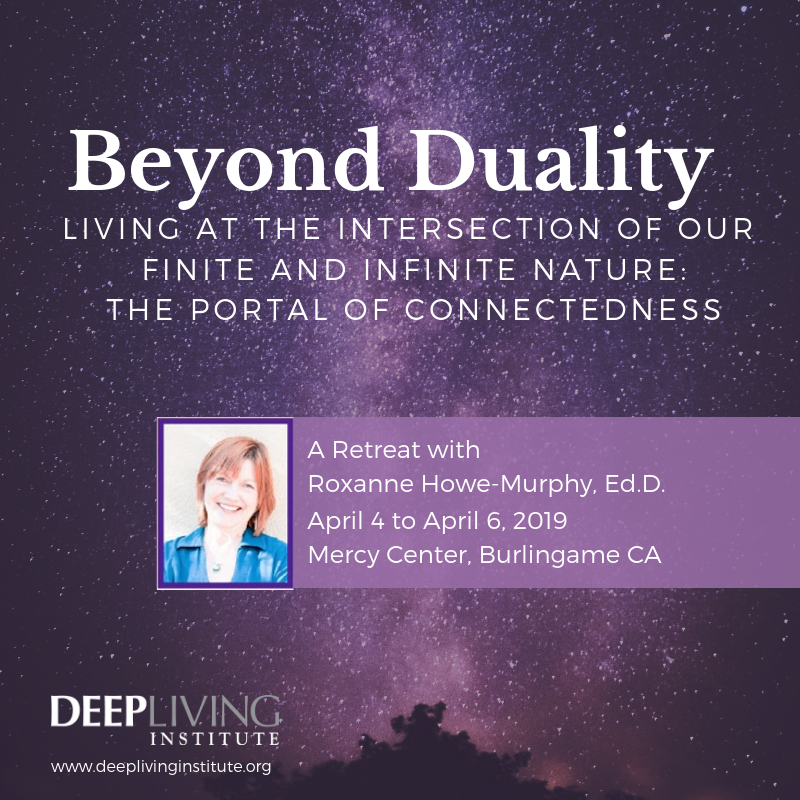 You will have the opportunity to join a post-retreat live or virtual small group circle sponsored by the Deep Living Institute. The circles are led by Deep Living facilitators and are designed to support you in further working with the retreat experience. More information will be available at the retreat. A separate registration for post-retreat circles will take place onsite at the retreat. A beautiful and powerful retreat experience. On this sacred land, in the company of a sacred community and through the sacred facilitation offered by Roxanne, I came into new and deeper contact with what's real and true for me, including what gets in the way and how to trust and release and allow new openings. As I engage in this work, and in meaningful and impactful programs such as this retreat, I have come to realize that the Enneagram is not a self-improvement project as I originally thought, but a practice in self-acceptance. Thank you. Roxanne Howe-Murphy was the first person who I knew and trusted to help me get back to finding my true self. She has this amazing ability to make you feel instantly safe without judgment and fear. She challenged me to work through my discomfort. When I started this retreat, I felt tense, frustrated and pure exhaustion. Leaving this week-end I feel calm, more grounded, joy and exhilaratingly free. Roxanne, thank you for creating an environment for me to reconnect and rejoice and remind me that I am enough.